For many years now I have tried to add a little glitter and sparkle to my 3 pooches so that they can look and feel great. 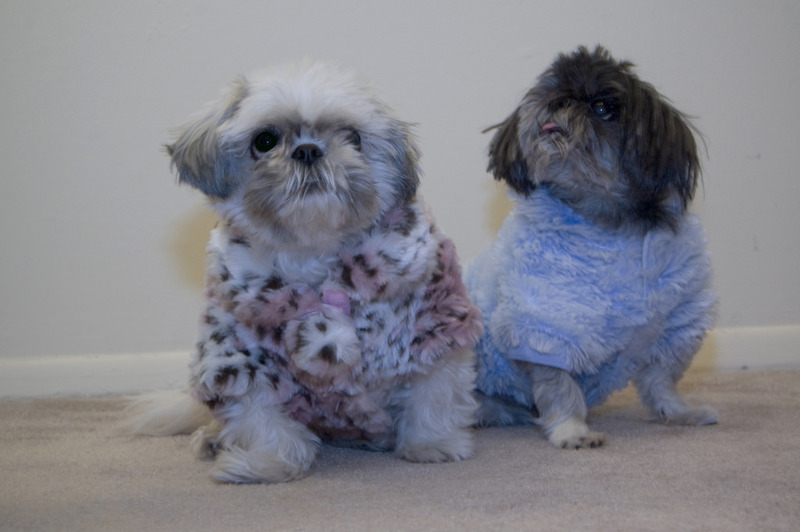 Whether it is summer or winter, have the perfect fashion outfits for my dogs and they all have quite a collection of garments from the Louisdog to the Susan Lanci collections. The reason I like to add a touch of design to my dogs is both for me and for them and I am sure that they just wouldn’t feel the same if they went out of the house in nothing but their fur. If you want to add some class to your pooch, here are some ways to do it. Almost everyone will buy a collar and a lead for their dogs, perhaps even a tag to identify who they are and where they are from. This is a great place to start adding your fashionable touches to your dog and instead of just picking up any old tag, collar and lead, try to make a statement with them instead. There is a huge amount of options on the market which you can choose from when it comes to these items and you can really help to add some style and color. Dressing your dog for the seasons helps them to not only look great, but feel great too and you can keep them cool in the summer and warm in the winter with some smart choices. The winter here can be incredibly cold and so I like to give me 3 Scottie dogs some real warmth with a heavy and stylish lumberjack-style jacket, equally I like to dress them in some wavy dress in the summer so that they can still look great, without adding any extra heat to proceedings. You shouldn’t take your dog to the stylist too often as if they are constantly clean and preened, it can actually prove to be a negative rather than a positive when it comes to their health. I try to take my 3 to the stylist once per month for a nail trim, a hair cut and a good teeth clean. When you take your dog to the stylist, speak with them about the different hairstyles which they can offer you, this is a great way to keep your dog looking sharp. Once again, pay attention to the weather as the last thing that your dog needs is to have their fur cut short when it is cold outside. The beauty of giving your pooches different hair styles is that their fur will always grow back and if something doesn’t look great, it won’t last for a very long time. If you are new to doggy fashion, spend some time looking online at the wide range of accessories and clothing options for dogs, you will be stunned at what a selection there is out there.